MTUC picketing for RM900 minimum wage and COLA RM300. MTUC picketing for RM900 minimum wage and COLA RM300 (Pt 2). Star Metro dated 27th June 2007 has come out with a write-up on Petaling Jaya City Hall (Majlis Bandaraya Petaling Jaya, MBPJ) again. MBPJ was reported to pioneer a Residents Representation Committee (RRC) in an effort to ensure the public is heard. “Mayor Mohamad Roslan Sakiman, when launching the seminar on the topic, said the RRC could help channel residents issues and suggestions directly to councillors. “Many residents groups now come directly to me, but I may not be around all the time to solve their problems,” said Mohamad Roslan. The RRC is divided into seven zones and is scheduled to meet once a month. A councillor will chair each zone. The chairman of each group will select a secretary and treasurer from among the residents while committee members will comprise members deemed suitable and each committee is limited to a maximum of 35 persons. The duty of the committee is to channel related problems within the community to the proper departments. With regards to the proposal to form RRC, which was a directive from the state government, the DAP would like to reiterate our strong stand, that the only solution to improve accountability and good governance in local authorities is none other than to revive local government election. It is only by making councilors accountable to the people, then they can perform a better job by watching closing over the daily operation of the council, including scrutinizing financial operation of the councils in order to avoid misuse of public funds in the councils. 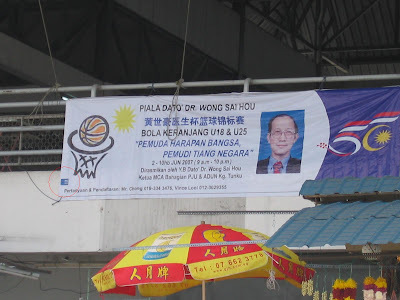 Local councils in Malaysia are seriously plagued by insufficient funds and this can only be solved by providing stricter checks-and-balances at the local level. DAP is particularly doubtful in whether RRC can fully perform the job. After all, RRC is only led by seven councilors while there are altogether 24 councillors in Petaling Jaya City Hall. Why would there be only 7 councillors working in the RRC and the other 17 of them are not involved? How is the City Hall going to convince the people that 7 councillors can work better than a bigger team consists of 24 councilors, excluding the mayor himself? Is it a poor reflection of the accountability of the councilors when not all the councillors are currently residing in areas under the jurisdiction of the Petaling Jaya City Hall? What have they to prove to the taxpayers of Petaling Jaya when the councillors, who are appointed by their political masters, are not even staying in Petaling Jaya? The abolishment of local government election has resulted in lacking of good governance among councillors as they not longer compelled to seek mandate of the people. Clearly, what is needed in this country is a long-term solution to the disappointing performance of local authorities. RRC and other measures are only short-term remedy just for window dressing purpose. It happened again yesterday when another flash floods hit KL. People are questioning the functioning of SMART Tunnel. SMART owes KL motorists a question. KUALA LUMPUR: Several areas in and around the city were hit by flash floods in the last two days with Jalan Duta the worst hit yesterday during a two-hour downpour. At the height of the downpour, many low-lying areas were submerged in at least one metre of water. In Jalan Duta, part of the road was cut off to traffic when a 0.5km stretch was submerged in 1.5m of water while in the opposite direction, the road heading towards Jalan Semantan had a fallen tree obstructing two of its lanes. A small portion of the road was also damaged by strong currents. A City Hall operations centre spokesman said other areas affected by the flash floods were Jalan Travers, Jalan Bangsar, Jalan Tun Sambanthan in Brickfields, Jalan Semantan and Jalan Universiti. The other affected areas were Jalan Tun Razak and Jalan Chan Sow Lin. The waters, however, receded within minutes after the rain stopped. The City Hall spokesman also said several areas in Salak South and Ampang were hit by flash floods when waters began to rise after it started raining at about 4pm. There were no casualties or major accidents reported during the downpour, he said, adding that some roads were hit by flash floods due to clogged drains and road construction. Trees along several roads were also uprooted but City Hall workers managed to clear them away. A Jalan Bandar Traffic Police spokesman said policemen were deployed to monitor and direct traffic, adding that the congestion eased after 7pm when the water levels receded. I was disturbed by this news that another flash floods hit KL after heavy downpour yesterday as the first question raised in my mind is the SMART Tunnel. The SMART Tunnel, which is an acronym for Stormwater Management and Road Tunnel, is a project under the Federal Government initiated to alleviate the flooding problem in the city centre of Kuala Lumpur. The project is implemented through a joint venture pact between MMC Berhad and Gamuda Berhad with the Department of Irrigation And Drainage Malaysia and the Malaysian Highway Authority as the executing government agencies. And according to the website of the company which owns the tunnel, the SMART system is built to divert large volumes of flood water from entering the critical stretch of Sungai Klang between Sg Klang /Sg Ampang confluence and Sg Gombak/ Sg Klang confluence via a holding pond, bypass tunnel and storage reservoir. This will reduce the flood water level at the Jalan Tun Perak Bridge, preventing spillover. The project, which was incepted by the project proponent, namely MMC Berhad-Gamuda Berhad Joint Venture, primarily aim to mitigate the recurring floods in the city of Kuala Lumpur, the financial, business and commercial hub of Malaysia. However, at the design stage of SMART, the dual purpose concept was born from the ingenuity of the project proponents and the motorway tunnel was integrated into the system to relieve traffic congestion at the main Southern Gateway to the city centre. The motorway tunnel will provide an alternative route for motorists from the Southern Gateway, i.e. KL-Seremban Highway, Federal Highway, Besraya and East-West Link entering and exiting the city centre. It is believed that this will reduce traffic congestion at the Southern Gateway leading to the city centre. The travel time is expected to be reduced significantly. Now, after all these huh-hah, perhaps it is good for us to ask if this tunnel really works when flash floods could still take place after when the tunnel is fully operational, only to wait for the announcement of its toll rate by the government. Or is it really safe enough for motorists? KUALA LUMPUR: Several areas in Pudu, Salak South and Ampang were hit by flash floods after an evening downpour yesterday. Waters began to rise after it started raining at about 6pm. By 7.30pm it had, according to some victims, reached to their waists. A restaurant owner in Jalan Besar, Salak South, said such flash floods happened almost every time a big storm occurs. “In the 20 years I have operated my shop here, the problem has persisted. “We have complained to the authorities numerous times but the situation has not improved,” said the 65-year-old man who only identified himself as Chan. By about 9pm, the water level had dropped to ankle level. Born into Islam out of family circumstances 25 years ago, a practising Hindu now wants to change her religion so she could marry a Hindu man. Jamaliah was soft-spoken and related her harrowing story at a press conference held at the Selangor DAP office today with her lawyer Lim Lip Eng (right) present. Expressing that she dislikes the name ‘Jamaliah’, she calls herself Priya and did not wish to be photographed. “For all my life I have been a practising Hindu and I only want to marry a Hindu man. If possible, I want to change my religion to Hindu but the Lina Joy decision has destroyed all my hopes for the future,” she said. Currently a clerk, Priya was told by her previous employer, a lawyer, to wait for Lina Joy’s Federal Court decision before deciding what to do. On Wednesday, the apex court with a 2-1 majority said that word 'Islam' cannot be removed from Lina’s IC and that she can only apostatise through the Syariah Court. Relating to reporters on her family background, Priya said her father had converted from Hindu to Islam after taking on a second wife who is an Indian-Muslim. Her birth certificate and IC both states that she is Islam. “My mother who was the first wife remained a Hindu but she left the family later after falling out with my father,” she said. Priya (right) said her stepmother had supported her in being a Hindu and had never compelled Priya to practise any Muslim rites such as fasting or praying after her father died when Priya was seven years old. She has five elder siblings, one brother and four sisters who are all practicing Hindus. The Perak native said she has never faced any problems concerning her Muslim status during her school days as she was not compelled to attend Islamic studies. The cruncher only came when her Hindu boyfriend of six years recently left her and said he cannot accept her Islam status and was not willing to convert to marry her. “He cannot accept my status and won’t marry me. He now says he wants to find another Indian girl to marry,” she said. Last week she attempted suicide by drinking poison and was warded in Sungai Buloh Hospital for three days before deciding to take this matter to Lim. Lim then brought the matter to DAP who are now highlighting that conversion cases are not uncommon. “I don’t think she is the only one. There are many affected by the Lina Joy judgment and I hope with more case highlighted we can find means of helping them,” he said. Meanwhile, he added that Priya would consider all legal options available including seeking redress in the Syariah Court. “The process to leave the religion through the Syariah Court are obstructive. We have heard that duress and pressure are applied on the applicant. “It is also a very long process and there’s no guarantee that the Syariah authorities would approve the apostasy,” Lim stressed. He said Priya now runs the risk of being detained and sent to a rehabilitation camp for declaring that she wants to leave Islam. Asked what her hope is, Priya said: “I want to leave a religion that I never practiced. I will go to the Syariah Court but I am afraid of what will happen. “I just want to be recognised as a Hindu and marry a Hindu man,” she added.